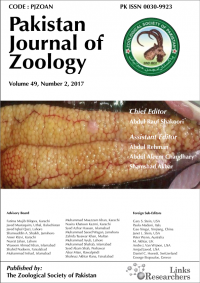 The present study was accomplished to explore the epidemiological dynamics of subclinical mastitis, caused by Staphylococcus aureus, in dromedary camels (Camelus dromedarius) reared in two distinct agro-ecological zones of Pakistan viz. Cholistan desert and Suleiman mountain range. A total of 768 lactating she-camels were screened for subclinical mastitis using California mastitis test (CMT). A preformed questionnaire was used to obtain data for the potential risk factors. Results showed an overall prevalence of 47.14% for subclinical mastitis. Statistical analysis revealed non-significant (P>0.05) difference between Cholistan desert and Suleiman mountain range (48.18% and 46.09%, respectively). S. aureus was isolated from 53.03% of the milk samples, with significantly higher (P<0.05) prevalence in Cholistan desert (66.10%) as compared to Suleiman range (57.98%). Blind quarter prevalence of S. aureus subclinical mastitis was 8.46% and 11.59% (P<0.05) in Cholistan desert and Suleiman range, respectively. The non-parametric statistical analysis showed significant association (P<0.05) of thin body condition, older age, lack of teat dipping and higher parity number with S. aureus subclinical mastitis. This study highlights the effect of agro-climatic conditions on S. aureus subclinical mastitis which is instrumental when devising strategies for effective disease control according to the climatic conditions of the area.